Carte Hardback (1) 358.14 lei Economic 2-4 săpt. 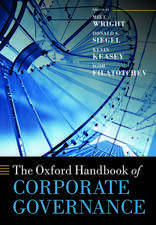 Oxford University Press – 04 Sep 2014 358.14 lei Economic 2-4 săpt. 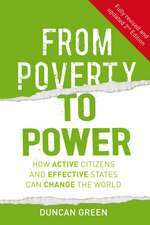 This book sees seven distinguished aca demic economists and ten commentators examine the factors that are most likely to support beneficial economic growth in low, middle, and high income countries on behalf of the Global Citizen Foundation. Their Towards a Better Global Economy policy research project aims to sustain long-term global economic growth. This 521-page volume provides a thinking stimulus for all who worry about the future of the world. 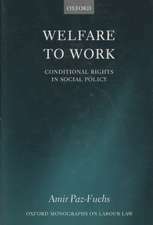 This is animportant book that deserves to be widely, and critically, read. In Towards a Better Global Economy, a team of prominent economists reports on the longer-term implications of major global developmentsparticularly the fundamental economic forces that are shifting the center of gravity of the global economy toward Asiafor average citizens around the world. 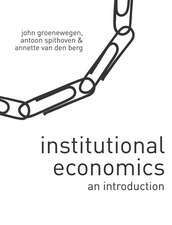 Their research shows that the politics, rules, and institutions of cooperation among nations have not kept up with the demands from citizens for changes in the global politicalorder and suggests that unorthodox policies for promoting growth should play a greater role in lower-income countries. 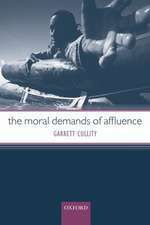 This book accomplishes what few others in the field have. It successfully speaks to the needs of the policymaker, the student and an informed citizenry. 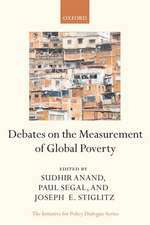 In language that is clear and jargon-free, the authors provide remarkably lucid analysis of the dynamics and impacts of globalization. 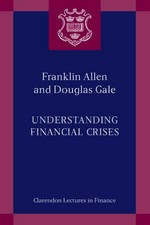 They provide well reasoned and lucid prescriptions for both current and looming economic problems, while their crystal clear view of the global landscape provides policymakers with aguide for making their own informed economic and political decisions. 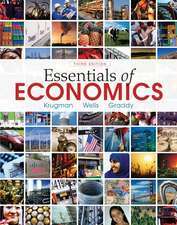 The breadth of views makes it an invaluable resource in undergraduate and graduate courses which cover the complex issues around globalization. By addressing the role informed citizens can play in shaping globalization trends, andmaking the debates about economic issues understandable to diverse audiences, it is in a class by itself in terms of versatility. A must read. For many years now it has been evident that many problems faced by nation-states cannot be tackled by them acting in isolation; national answers to problems created by interdependence have failed to provide real solutions. 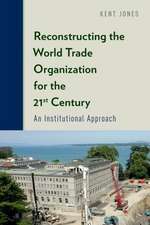 This book explains that the need for a global perspective will deepen in the decades ahead. 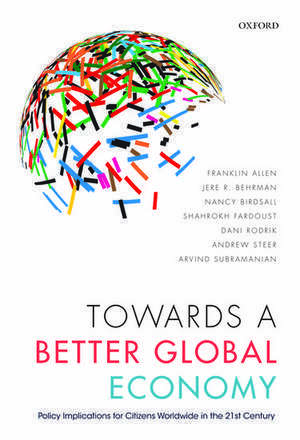 Behrman and Fardoust have assembled together a notable group of experts who convincingly argue that core areas of public policy like economic growth,population mobility, trade, finance, and climate change need to be addressed from a global perspective; creating in turn new challenges for the institutions and mechanisms of global governance. This excellent book makes a solid contribution to the debate as to how the world economy needs to be managed inthe 21st Century by nation-states, or by the not-necessarily-so-far-fetched concept of the citizen of the world. 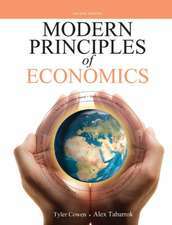 This book provides a very persuasive discussion of the key global economic trends, and helps readers think through some of the main policy issues of our time: globalization, income distribution, and policy making in an increasingly connected world where citizens are becoming-and need to become-more involved in debates about economic policies. I particularly appreciated the emphasis on the need for a debate on the aspects of economic governance that should beaddressed at national vs. global levels, particularly in countries undergoing fundamental changes such as those in the Middle East and North Africa. The book is important reading for those interested in where the world is going and how to think about solving some of the daunting problems the global economywill be facing. The global economy is shaped by powerful forces including trade, entrepreneurship, technology, communications, migration, politics, conflict, environment, and climate. 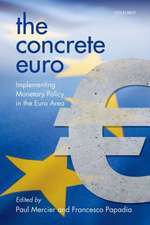 And the financial and economic crises of the period since 2008 have shaken confidence and led to reappraisals of what policy and institutions can deliver in influencing these forces and their outcomes for the benefit of global citizens. 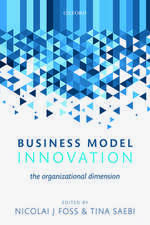 This book, with contributions from some of the leading thinkers ofour time, provides crucial insights into actions we can take now and the way our ideas can and should be changed by experience. It is very timely and of great value. 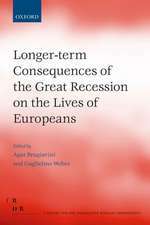 In the aftermath of the global financial crisis, with future growth in advanced economies potentially slower, many developing economies are facing the risk of adverse implications for poverty reduction and development. 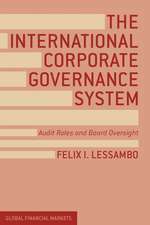 This book pays much-needed attention to identifying the most appropriate policy responses, at both national and global level, to address looming risks and restore strong and sustainable growth while advancing social progress. The analyses and proposalsare set to inform many ongoing policy debates about how to make progress, in a post crisis environment, towards an open and welfare-enhancing global economy. 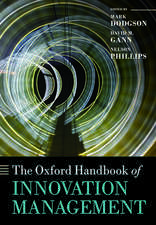 Critical issues such as global governance, the relationship between finance and economic growth, income inequality, and environmentalsustainability are explored in depth, with a global perspective serving to detect and analyze key changes and challenges that might influence long-term growth trends and their distributional consequences. Franklin Allen is The Executive Director of the Brevan Howard Centre and Professor of Finance and Economics at Imperial College London. 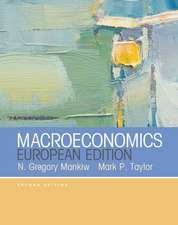 He is the executive editor of the Review of Financial Studies and the managing editor of the Review of Finance; a past president of the American Finance Association, the Western Finance Association, the Society for Financial Studies, the Financial Intermediation Research Society and the Financial Management Association; and a fellowof the Econometric Society. 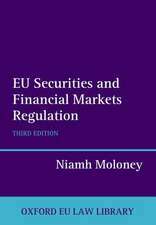 His main areas of research are corporate finance, asset pricing, financial innovation, comparative financial systems, and financial crises. 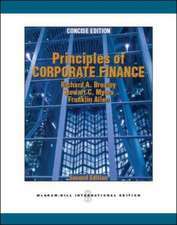 He is a co-author, with Richard Brealey and Stewart Myers, of the 8th12th editions of Principles of Corporate Finance. He holds a D.Phil degree from Oxford University. Jere R. Behrman is the William R. Kenan, Jr. Professor of Economics and Sociology and Population Studies Center Research Associate at the University of Pennsylvania. 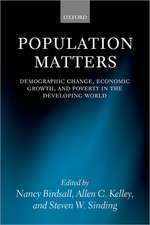 His research is in empirical microeconomics, economic development, early childhood development, labor economics, human resources (education, training, health, nutrition), economic demography, household behaviors, and life-cycle and intergenerational relations. He has published more than 370 professional articles and 33 books, beena research consultant with numerous international organizations, conducted research or lectured in more than 40 countries, and served as principal investigator on more than 75 research projects. He is a Fellow of the Econometric Society, a 40th Anniversary Fulbright Fellow, the recipient of the 2008biennial Carlos Diaz-Alejandro Prize for outstanding research contributions to Latin America, and a member of the U.S. National Institutes of Child Health and Development (NICHD) Advisory Council. Nancy Birdsall is the founding president of the Center for Global Development. Before launching the center, she served as executive vice president of the Inter-American Development Bank; held research, policy, and management positions at the World Bank, including as director of the Policy Research Department; and served as Senior Associate and Director of the Economic Reform Project at the Carnegie Endowment for International Peace. She is the author, co-author, or editor of more than a dozenbooks and many scholarly papers. Her most recent publications include Cash on Delivery: A New Approach to Foreign Aid (2010) and New Ideas on Development after the Financial Crisis (2011), coedited with Francis Fukuyama. She holds a PhD from Yale University.Shahrokh Fardoust is the president of International Economic Consultants, LLC. He has more than 30 years of experience in economic development. At the World Bank, he served as Director of Strategy and Operations in the Development Economics Vice Presidency, Senior Adviser to the Director-General of the Independent Evaluation Group of the World Bank Group, and Senior Economic Adviser to the Chief Economist. He has published in the areas of economic development, national and subnational economicpolicy, long-term forecasting, and international monetary system. 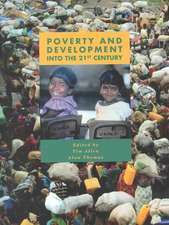 He contributed to and co-edited Post Crisis Growth and Development: A Development Agenda for the G20 (2010). He is member of the SovereigNET Advisory Council at the Fletcher School at Tufts University. He holds an MA and PhD from theUniversity of Pennsylvania. Dani Rodrik is the Ford Foundation Professor of International Political Economy at the John F. Kennedy School of Government, Harvard University. Previously he held professorships at Princeton and Columbia Universities. 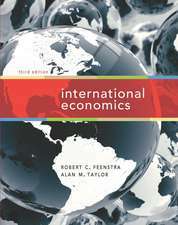 He is the author, among other works, of The Globalization Paradox (2011) and One Economics, Many Recipes (2007). He has published widely in economic development and growth, globalization, and political economyAndrew Steer is the president and CEO of the World Resources Institute (WRI). He has three decades of experience working on international development on the front line in Asia and Africa and at a senior level in international policy roles. Before joining WRI, he served as Special Envoy for Climate Change at the World Bank. He was a member of UN Secretary-General Ban Ki-Moon's High Level Panel on Sustainable Energy for All and served on the B20 Board on Green Growth. He holds a PhD from theUniversity of Pennsylvania. Arvind Subramanian is the Dennis Weatherstone Senior Fellow at the Peterson Institute for International Economics and a senior fellow at the Center for Global Development. He is the author of Eclipse: Living in the Shadow of China's Economic Dominance (2011) and the co-author (with Olivier Jeanne and John Williamson) of Who Needs to Open the Capital Account? (2012). In 2011, Foreign Policy named him one of the world's top 100 global thinkers. Before joining the PetersonInstitute, Dr Subramanian was an assistant director in the Research Department of the International Monetary Fund. He holds a DPhil from the University of Oxford.